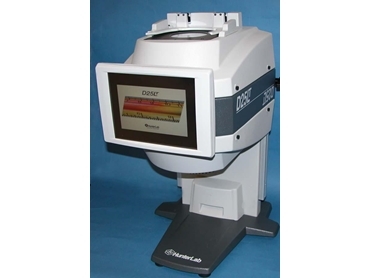 Novasys HunterLab D25LT Colorimeter replaces the trusty D25L-DP9000 that has been a standard for colour measurement in the food and many other industries for many years with hundreds installed worldwide. HunterLab D25LT is totally self-contained with a small footprint. The colour measurement system features a large, colour, LCD touch screen for clear viewing of measurement data as well as entry of selected parameters. An alphanumeric keypad is displayed on the touch screen simplifies sample ID and data entry. HunterLab D25LT is network and PC compatible and its built-in printer provides a hard copy of results. The HunterLab D25LT is available in port-up and port-down configurations so that both solid and liquid samples can be measured. The standard aperture size is 95mm with an optional petri dish adapter.